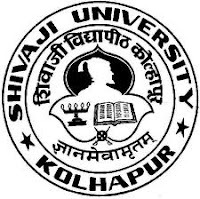 Jobs Details :- Application are invited for the Posts of Course Co-ordinators in Shivaji University. Qualifications : Good academic record as defined by the concerned university with at least 55% marks (or an equivalent grade in a point scale wherever grading system is followed) at the Master’s Degree level in a relevant subject from an Indian University, or an equivalent degree from an accredited foreign university. ii. Besides fulfilling the above qualifications, the candidate must have cleared the National Eligibility Test (NET) conducted by the UGC, CSIR or similar test accredited by the UGC like SLET/SET. No. Of Post : 06 Posts. Pay Scale : Rs.15000/-PM (Consolidated). How to Apply : The application along with the C.V.’s and attested copies of relevant documents should be sent to the Registrar, Shivaji University, Vidyanagar, Kolhapur – 416 004 so as to reach him on or before 05/07/2012.The Interviews will be conducted on 11/7/2012 at 10.00 a.m. in the University office.